I've mentioned that tux dressing will be particularly chic for fall, but I love it for spring too! What better to throw over a flippy floral dress than a smart jacket? 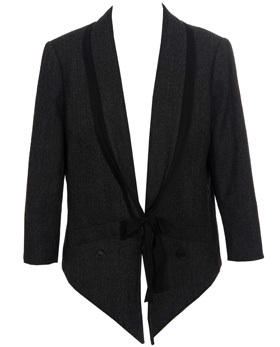 I like the tie closure on this one by Edun, plus it's on sale! Buy at Brown's for $242.